It is used maintain all those transactions which are related with free item such as ‘buy one get one free’. Example:- Sundry Debtors purchased 20 Bottles of Water Bottle for Rs. 100 per piece but bill payed only of 10 pieces of Water Bottles and rest 10 is for free. So how to Maintain this transaction. To activate actual and billed quantity: - G.O.T. 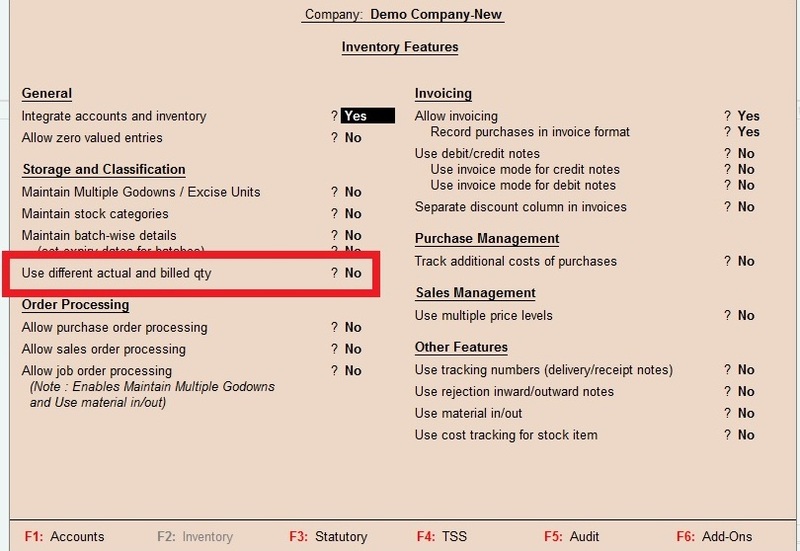 (Gateway of Tally) - Press F11 (Company Features) - Press F2 (Inventory Features). 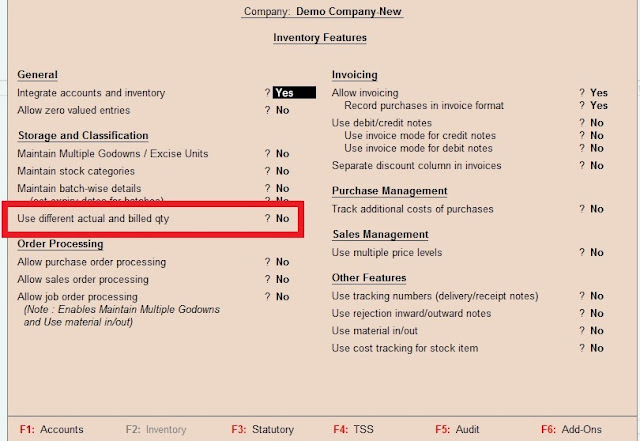 Set yes to Use Difference actual and billed quantity. 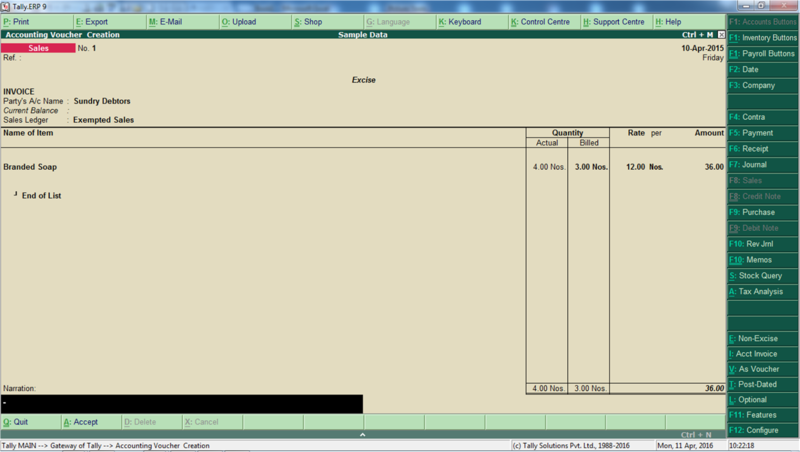 Now create a voucher entry (Invoicing). 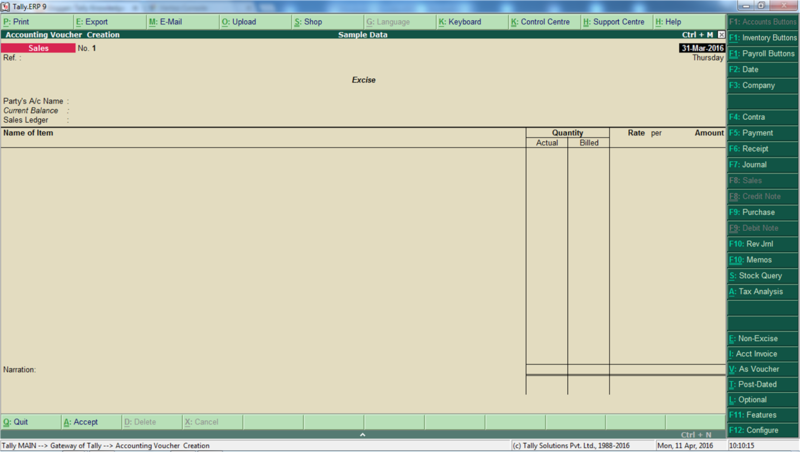 You can see column quantitative details is having two separate columns, one is Actual and second is billed. In voucher entry you can see the Actual Quantity is 4 (where 1 No. piece free with purchase of 3 soaps) and calculation of Billing is for only 3 Quantity. Its all done. You also configure ouput tax / input tax in Voucher Entry. Genuine trading recommendations helps to understand the market status and if you follow these tips you will definitely earn goo profit and for more updates visit Epic Research.